Centipedes ("one hundred legs" in Latin) are Arthropods, members of an invertebrate class that includes insects, spiders, and crustaceans. All centipedes belong to the class Chilopoda, which includes about 3,300 different species. They are found on every continent except Antarctica, and they have the greatest diversity in shape and configuration in warm and tropical environments. Most centipedes are adapted to burrowing and live in soil or leaf litter, under the bark of trees or beneath stones. Centipede bodies include six head segments (three of which are mouthparts), a pair of poisonous maxillipeds ("foot jaws"), a variously numbered series of trunk leg-bearing segments, and two genital segments. Their heads have two antennae and a varying number of paired compound eyes (called ocelli). Some cave-dwelling species are blind. Each legged segment is made up of an upper and lower shield covered by a cuticle and separated from the next segment by a flexible membrane. Centipedes periodically shed their cuticle, which allows them to grow. Their body length ranges from 4 to 300 millimeters (.16–12 inches), with most species measuring between 10 and 100 mm (.4–4 in). 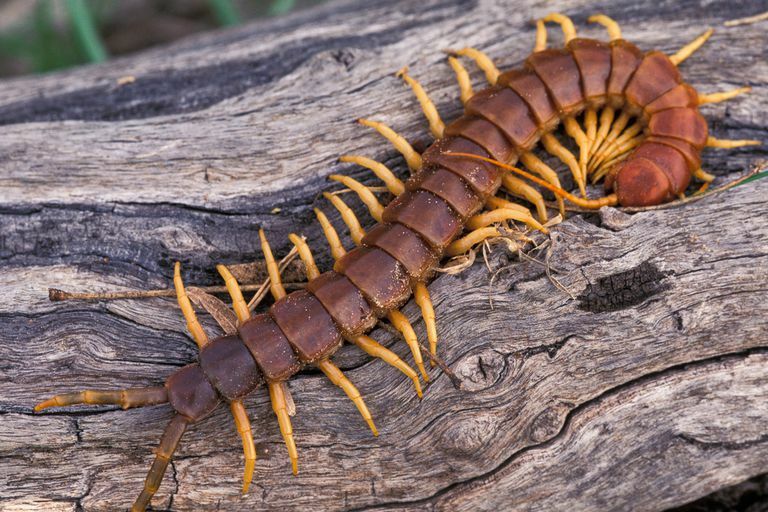 Though their common name means "one hundred legs," centipedes can have significantly more or less than 100 legs—but never 100. Depending on the species, a centipede can have as few as 15 pairs of legs or as many as 191 pairs. Regardless of the species, centipedes always have an odd number of leg pairs, so they never have exactly 100 legs (because 50 is an even number). The easiest way to differentiate centipedes and millipedes is as follows: Millipedes have two pairs of legs on most body segments, but centipedes always have a single pair of legs per segment. Not sure what you've found? Just count how many pairs of legs are on a segment. Should a centipede find itself in the grip of a bird or other predator, it can often escape by sacrificing a few legs. The bird is left with a beak full of legs, and the clever centipede makes a fast escape on those that remain. Since centipedes continue to molt as adults, they can usually repair the damage by simply regenerating legs. If you find a centipede with a few legs that are shorter than the others, it is likely in the process of recovering from a predator attack. Though many centipedes hatch from their eggs with a full complement of leg pairs, certain kinds of Chilopods start life with fewer legs than their parents. Stone centipedes (order Lithobiomorpha) and house centipedes (order Scutigeromorpha) start out with as few as 14 legs but add pairs with each successive molt until they reach adulthood. The common house centipede can live as long as five to six years, so that's a lot of legs. Though some occasionally scavenge a meal, centipedes are primarily hunters. Smaller centipedes catch other invertebrates, including insects, mollusks, annelids, and even other centipedes. The larger tropical species can consume frogs and small birds. The centipede usually wraps itself around the prey and waits for the venom to take effect before consuming its meal. A centipede's first set of legs are venomous fangs, which they use to inject paralyzing venom from a gland into prey. These special appendages are known as forcipules and are unique to centipedes. Large poison claws partially cover the mouthparts and form part of the feeding apparatus. 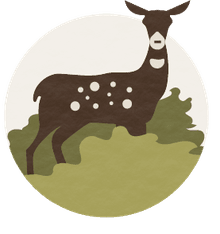 The last pair of legs are not used for locomotion either but vary in use by species, some for defensive or sensory functions, or prey apprehension, and some for courtship. Although there are centipede breeders, most centipedes sold in the pet trade are wild-caught. The most commonly sold for pets and zoological displays are giant centipedes from the Scolopendra genus. Pet centipedes are kept in terrariums, with a large surface area, minimum 60 centimeters (24 inches) square for larger species. They require a built substrate of soil and coconut fiber for burrowing, and they can be fed pre-killed crickets, cockroaches, and mealworms weekly or biweekly. They always need a shallow dish of water. Centipedes are aggressive, venomous, and potentially dangerous for humans, especially children. Centipede bites can cause skin damage, bruising, blisters, inflammation, and gangrene. The enclosures should be escape proof, and although centipedes can't climb smooth glass or acrylic, don't provide them a way to climb to reach the lid. They required a minimum humidity of 70 percent; rainforest species need more. Appropriate ventilation can be provided with a grid cover and small holes on the side of the terrarium, but be sure the holes are too small for the centipede to crawl through. Temperate species like it between 20 and 25 C (68–72 F), tropical between 25 and 28 C (77–82.4 F). Don't worry if you don't see your pet centipede out during the day: Centipedes are night creatures and do their hunting after dark. Compared to most arthropods, centipedes are relatively long-lived. It is not unusual for a centipede to live two to three years, and some survive longer than five years. Centipedes continue to molt and grow as adults, unlike insects, which complete their growth when they reach adulthood. You probably wouldn't expect a centipede to be a good mother, but a surprising number of them dote on their offspring. Female soil centipedes (Geophilomorpha) and tropical centipedes (Scolopendromorpha) lay an egg mass in underground an burrow. The mother wraps her body around the eggs, and remains with them until they hatch, protecting them from harm. With the exception of the slow-moving soil centipedes, which are built to burrow, Chilopods can run fast. A centipede's body is suspended in a cradle of long legs. When those legs start moving, this gives the centipede more maneuverability over and around obstacles, as it flees predators or chases prey. The tergites—the dorsal surface of the body segments—may also be modified to keep the body from swaying while in motion. Arthropods often have a waxy coating on the cuticle to help prevent water loss, but centipedes lack this waterproofing. Most centipedes live in dark, moist environments, like under leaf litter or in damp, rotting wood. Those that inhabit deserts or other arid environments often modify their behavior to minimize the risk of dehydration. They may delay activity until seasonal rains arrive, or when the humidity rises, for example, and diapause during the hottest, driest spells. Capinera, John L. Encyclopedia of Entomology. 2nd ed. Berlin: Springer Science & Business Media, 2008. Print. Chiariello, Thiago M. "Centipede Care and Husbandry." Journal of Exotic Pet Medicine 24.3 (2015): 326-32. Print. Edgecombe, Gregory D., and Gonzalo Giribet. "Evolutionary Biology of Centipedes (Myriapoda: Chilopoda)." Annual Review of Entomology 52.1 (2007): 151-70. Print. Triplehorn, Charles A., and Norman F. Johnson. Borror and Delong's Introduction to the Study of Insects. 7th ed. Boston: Cengage Learning, 2004. Print. Undheim, Eivind A. B., and Glenn F. King. "On the Venom System of Centipedes (Chilopoda), a Neglected Group of Venomous Animals." Toxicon 57.4 (2011): 512-24. Print.